In 1933 Sol Koffler put his life savings on the line to start a luggage company in Providence, Rhode Island. His dream was to build a tough suitcase that could sell for a dollar – American Tourister was born. 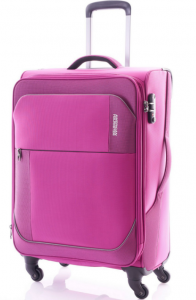 Now, over 75 years later, American Tourister is positioned as one of the largest luggage brands in the world. Thanks to its continued tradition of quality and design at a great value, American Tourister is the smart choice for you and your family, offering a wide selection of travel products including luggage items as well as casual, and business bags. 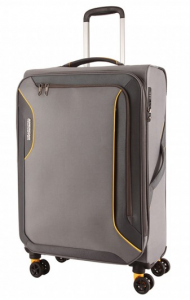 American Tourister is available at Travel Accessories by Paolo Salotto – Oman.